Unmatched results for matching gift campaign. 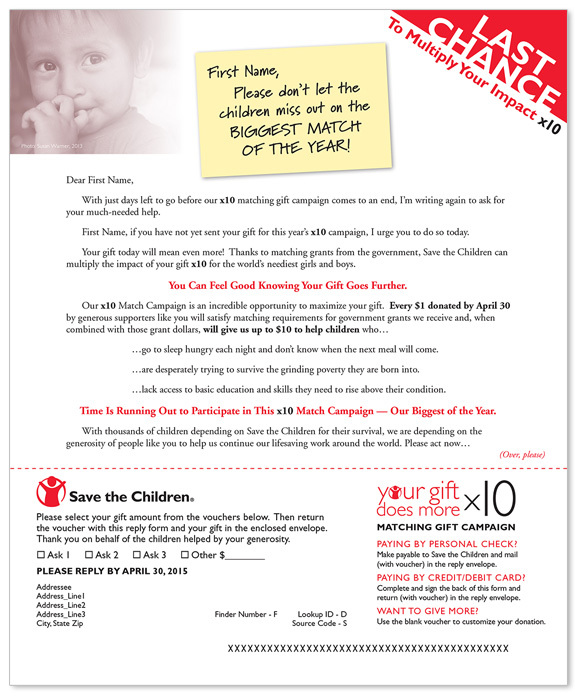 Each spring, Save the Children offers a matching funds campaign that utilizes government grants to increase the impact of their donors’ contributions. The creative features a campaign icon, “Your Gift x 10 Does More” to underscore the match message. 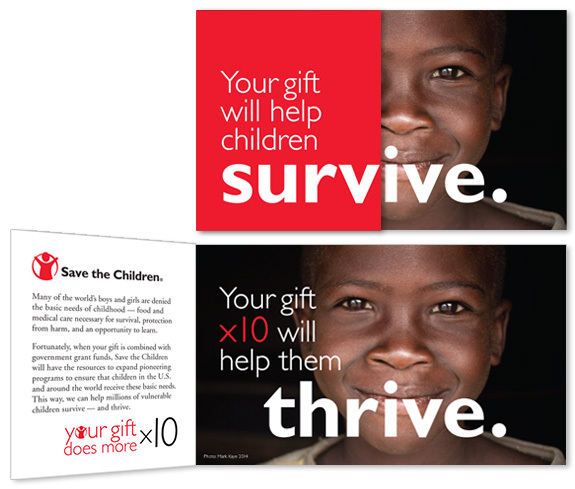 The reveal fold brochure makes a tactile connection with the idea that with your generous support x 10, children can not only survive, but “thrive” — a primary theme of Save the Children.